Washington Supply Company is a proud member of the Lumberman's Merchandising Corporation! LMC is the largest cooperative of Lumber Dealers in the United States, accounting for more that $4 billion in sales at the retail level. We are one of 375 members of this organization with 1400 outlets throughout the United States. It is how we can bring prices to our customers which are the most competitive possible and products of the highest quality for all of your building projects. Douglas Fir or "Doug Fir" is the preferred framing lumber in Northwest Connecticut because of its strength, dimensional stability and its cutting and nailing properties. We strive to stock high quality lumber and to do this, we communicate our needs to our suppliers and maintain a strong relationship with them. Our main suppliers are Weyerhaeuser and Sherwood Lumber. For more information about the properties and harvesting of this great wood, check out the Western Wood Products Association page on Douglas Fir. Micropro Pressure Treated lumber has become the standard for use where rot and insect resistance is required. Our treated decking is Premium Grade. Our 2 x 4 through 2 x 12 is all #1 grade and our timbers are #2 grade. We have a reputation for stocking the best Pressure Treated lumber in the area. To maintain this, our primary supplier is Culpeper Wood Preservers. 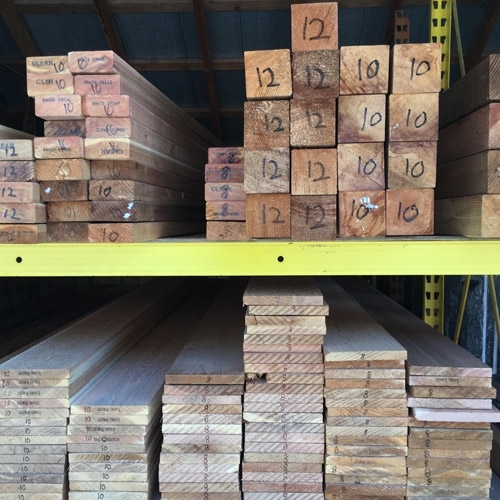 We are pleased with this relationship not only because of the quality of lumber that Culpeper supplies, but also because of their environmental awareness in their treating operations.